New to Boston? 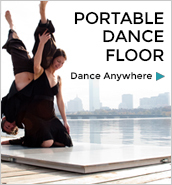 Boston Dance Alliance is here to help. We are creating a new “welcome packet” on this website based on the experiences of dancers and dance lovers from all walks of life. Don’t let $$ hold you back. If you are a ‘starving artist’ and want to be in more classes, don’t hesitate to talk to teachers about a discounted rate they might have, especially if you regularly show up. Join a work study program to get free class and access to space in exchange for your time instead of $$. Reach out to dance artists you want to see a week before their show and ask if you can usher/help set-up/strike for a free ticket. Often times we are desperate to find extra help and will probably say yes! Explore this website for more information and links that will help you get started. We’re glad to have you here!